Vanuatu Fishing Holidays & Charters | travel&co. Sandy beaches, ancient culture, remote and rugged islands and world-class fishing. Vanuatu pulls in some of the world’s biggest game fishing species from Blue, Black and Striped Marlin, Giant Trevally, Wahoo, Dogtooth Tuna. This maybe home to volcanoes, waterfalls and shipwrecks, but one of Vanuatu’s biggest and strongest attractions is the revered Indo-Pacific blue marlin, the hardest fighter of this species. Port Villa’s fishing fame lures anglers from far and wide including the other side of the world. This piece of the Pacific offers visitors exceptional world-class fishing. Vanuatu is only a few hours by plane from Auckland. There are no extra flights once you get to the capital Port Vila; just a few minutes to your hotel by taxi and then wallow in anticipation till the next days game fishing begins. 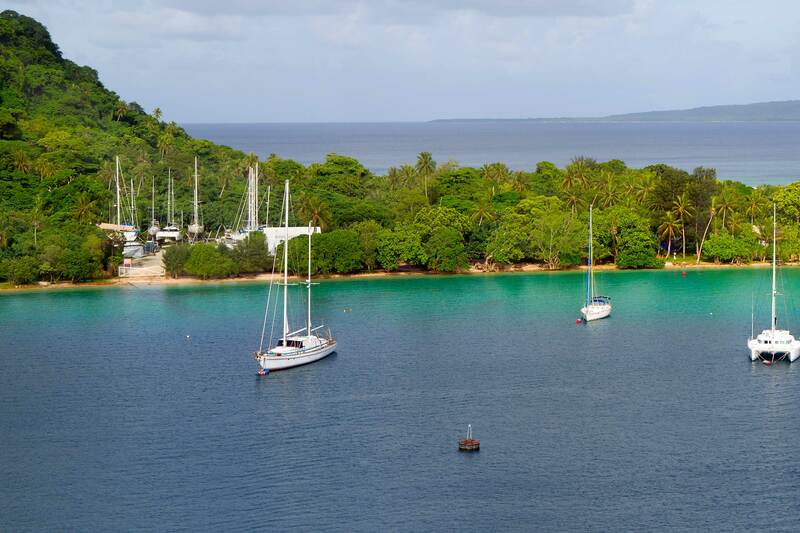 Port Vila offers superb restaurants, excellent shopping and a variety of sights other than the one off the back of the boat! Vanuatu is one of the most diverse destinations in the South Pacific. Culturally it is unique: the people are friendly to a fault, the food wonderful and the location stunning. There are active volcanoes, ship wrecks, magnificent diving, remarkable water falls, a variety of modern accommodation and restaurants of international standards. So it is a great place for non-fishing partners and families. While they are shopping, playing or relaxing in the sun, you can spend the days out on the ocean in pursuit of the big one! Vanuatu is a series of 83 islands which ascend out of the phenomenal depths of the Pacific Ocean. There are seamounts that rise to within 5m of the surface from depths of 1000m. You can be in over 1000m of water within 1km of the shore. It is not uncommon to hear of marlin being seen close to the harbour and locals say leaping sailfish in the inner harbour are quite common. Vanuatu is home to at least six species of bill fish; broadbill sword fish and short-billed spearfish (however, these are quite rare), sailfish, plus striped, black and blue marlin which are common. But probably the main reason the game fishermen and women head towards Vanuatu is to target the Indo-Pacific blue Marlin, the Mike Tyson of the fish world. The biggest, meanest and hardest fighter of this lineage, he’ll bite both your ears off and never even think of an apology! In season, blue marlin congregate along the edge of a canyon known locally as “The Marlin Highway”, and it is quite common to release 4-5 fish per day. Most of the marlin caught in Vanuatu are blues ranging from 100-400kg, while doggies and sailfish can get near the 90kg mark. But its not all billfishing. Sport fishing is becoming increasingly popular and the waters around Port Vila teem with both pelagic and demersal sporting species. Massive schools of wahoo are citizens of the local reefs, and yellow fin tuna are common, ranging up to 80kg. 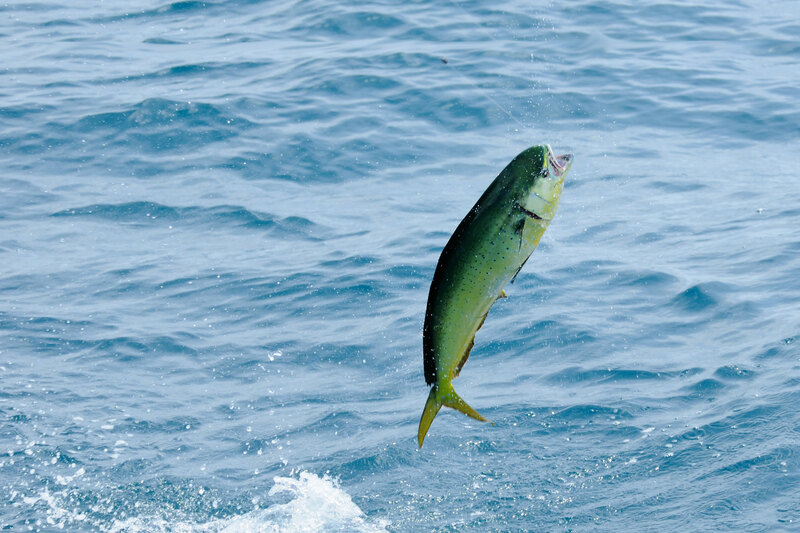 Giant trevally abound as do skipjack dogtooth tuna and those shimmering green dynamos, Mahi-mahi. Red bass, coral trout, big jobfish, mangrove jack and a host of bottom dwelling species are found in abundance. With such fantastic fishing available so close to shore, and so many islands to fish, you don’t have to travel far to the fishing grounds. No matter what the weather fishing in Vanuatu is as comfortable as it is exciting.